Batiks in my Dining Room. “Garden with Bird” batik hanging is a recent commission. Hand-drawn with a pen- like tool called a tjanting, using a resist made from beeswax, then dyed. 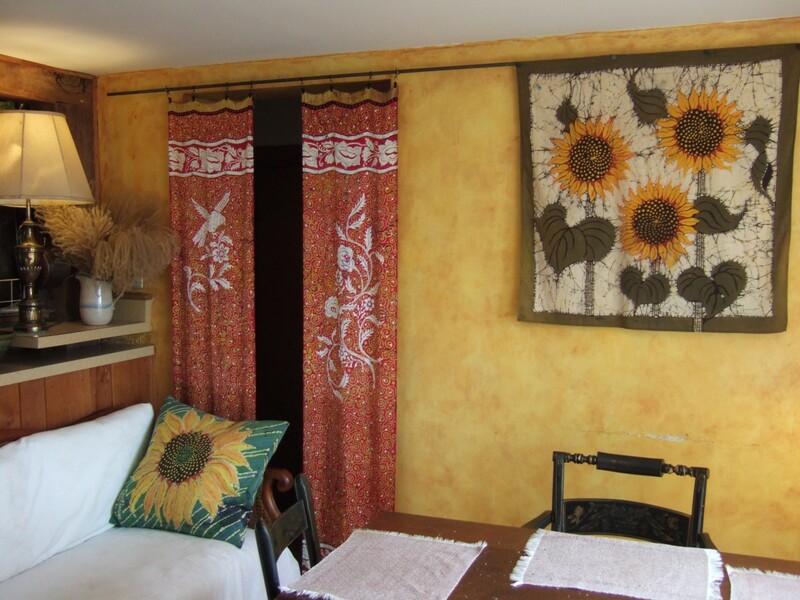 “The Sunflower” pillow and “Three Sunflowers” hanging are earlier work.